Elegant and sturdy medium height bar stool that was custom created by Fast Lane Customs. This American made piece of furniture has a distressed iron frame topped off by a beautifully stained wooden seat. 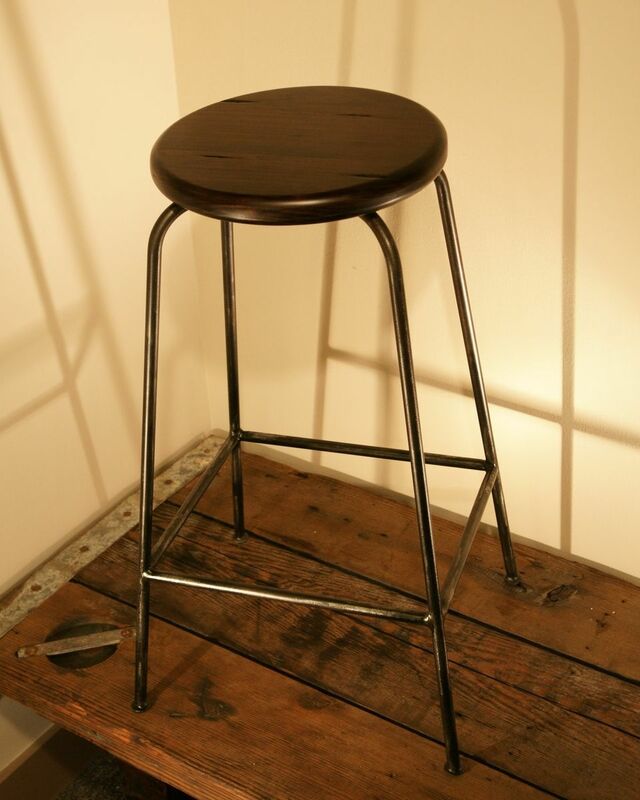 Whether it be for a home or business this stool will exceed all expectations. Please remember here at Fast Lane Customs if you can dream it, we can build it. 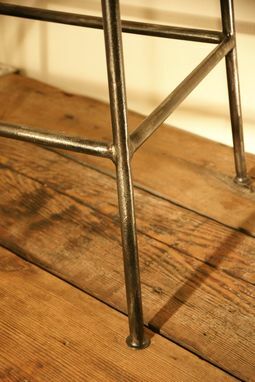 So have a special style/color stool in mind? Please contact us for a custom order or for any questions at all. Thanks!